Are you looking for the best WordPress nonprofit themes for your website? Nonprofit WordPress themes easily allow you to create a charity as well as donation website. It is done to spread the awareness about poor people who need desperate help from the world. The question is how it can help you to make your charity work BETTER? Suppose you are looking for funds, donations & support from the other people for your NGO or non-governmental organization. You can get it all of it by physically reaching out to them but it is stressful. 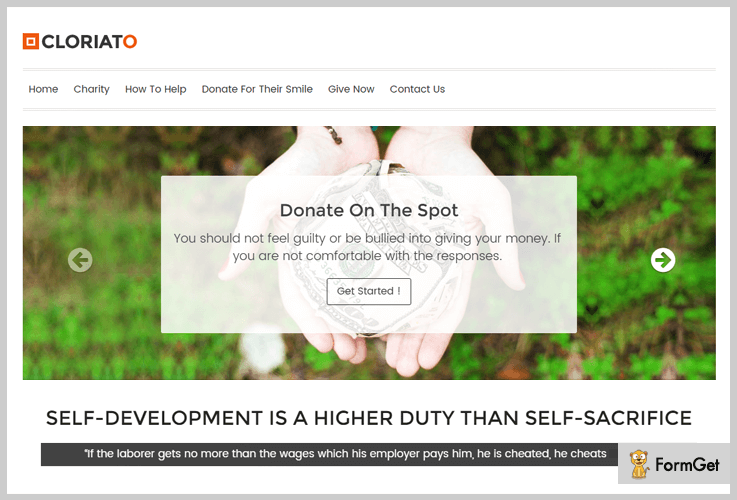 So for smart work, you can use WordPress charity themes to build a website which can do a lot more for your agency. So to help you with this, here we’re with some of the best nonprofit WordPress themes. Some of them are free while others are paid. All you’ve to do is to try them & we believe that it’ll surely ease the path of your godly work! Now, let’s dive into this article! Clarito is a frequently used charity & a nonprofit WordPress theme. With the help of it, you can build a compelling website for your NGO firm. The reason is that even it has a simple layout. Yet it helps in creating a pretentious interface with respect to this particular charitable field. Suppose you want to share the views & prospects of your NGO, then you can mention them all on its homepage banner section. This will help you to feature your views in front of your desired target audience. The standard price for this theme is just $59 with lifetime updates & support. Along with it, if you want to get access to 49 themes with a new product every month then you’ve to pay $147 for the first month. After it, you’ll be charged only $15 on monthly basis. 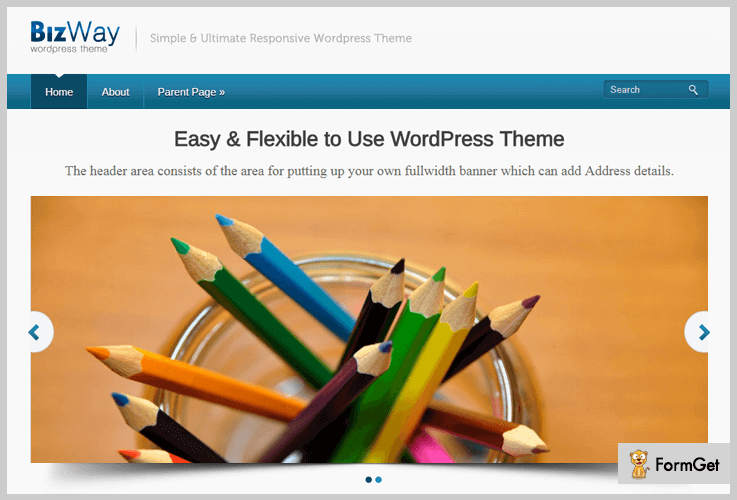 This plan is to get the InkThemes premium themes membership. If you want to get the membership of both 49 InkThemes themes as well as 10 plugins then you’ve to pay $247 for the first month. After it, $15 will be charged monthly. Inside page header & footer, you can add various social icons with advanced styling to make your NGO or any nonprofit organization popular among the others. If the visitors are interested in getting signed up with your charitable organization, they can sign up from its icon added in the footer section of the page. You can also enable the blog page on the front page such that people will get to know about each & every activity of you in the form of detailed blogs. 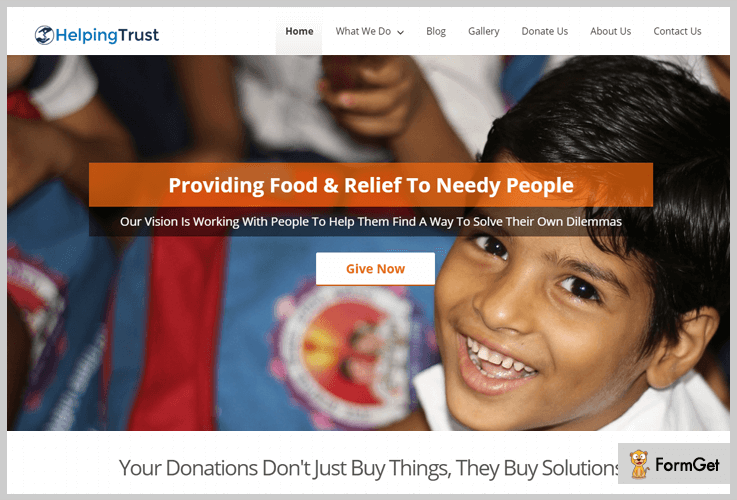 Helping Trust by InkThemes is another features charity WordPress theme. It basically comes with a free Ink donation facility which will enable you to collect donations & funds from others through an online helpdesk. On the banner image section of the homepage, you can add high-quality images which can demonstrate your ideas & strategies about charity. Plus, you’ll also be able to add a tagline about a specific image, a short description about it & a button associated with the detailed information of that particular image. You can handle all of your charitable work by purchasing this nonprofit WordPress theme at only $79 with 24/7 support. With its 4 column footer area, you can add any four fields such as your purpose, recent posts, gallery images & the contact information. Apart from it, you can customize them according to your needs. To get your website more visible to others, you can use its SEO features. After doing it, whenever a person searches for non-profit organizations online, your site will come in the top of the rankings. You can also upload the logo as well as favicon of your nonprofit organization to your site. Obviously, it will result in making your website & organization more featured & genuine. 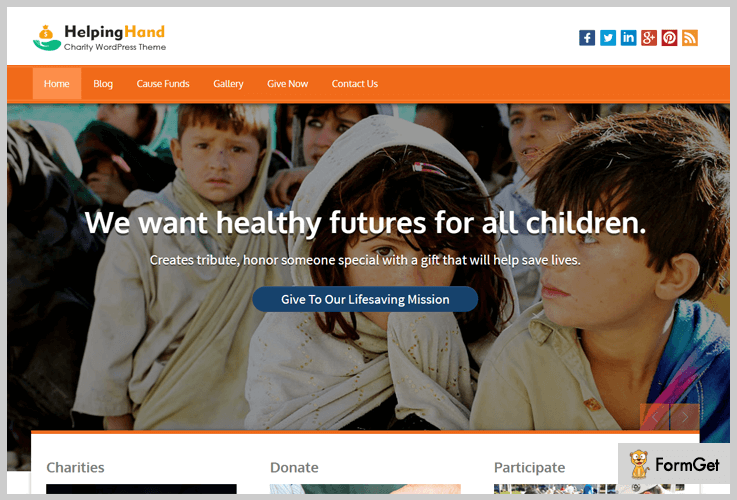 Helping Hand is a best non-profit WordPress theme for all of those fundraising, non-government & charitable agencies which mostly accept donations. So they can conduct fundraising & donation events online. On its homepage, you can the videos of your events to let the people know what your organization does for all those people who are really in great need of care & love. This theme only charges $79 for a lifetime. You can add a page of contact form on the header menu such that people can easily get in touch with you. All they have to do is to simply enter their name, email address & a detailed message or query. On its footer area, you can add the search icon for the visitors to your site in order to find any relevant information about you on the website. There is a widget which is called as ‘Meta’. By adding it on the right column sidebar, you can provide the direct links to the fields such as login, register & RSS comments. Curb Poverty is also a featured WordPress theme which has a different interface from all of the above themes. Yes, this theme is for charity work but it is more focused on how to minimize the poverty from the society. You got it right. 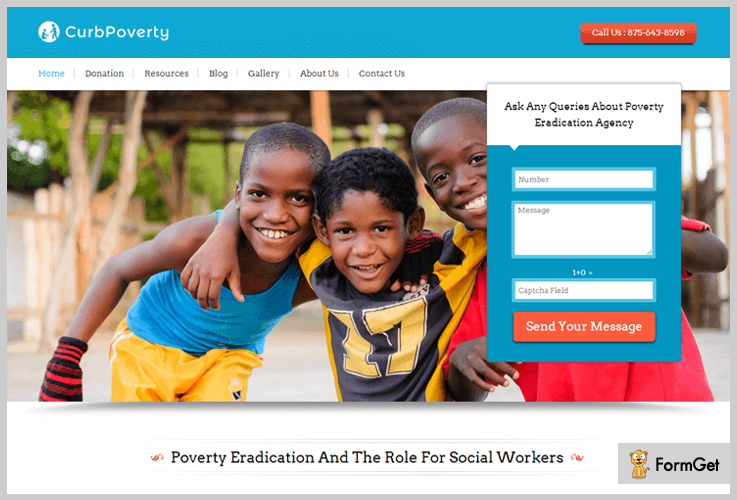 This is a poverty eradication WordPress theme. On its webpage, you can add a form through which you can either get the contact information or any suggestions about minimizing penury from the society. With its charge of $79 of a one-time payment, you can customize the whole interface of your site. All of it can be done with so much ease. On every blog post on your site, you can add the comment section which consists of fields such as name, email, website & comment. This is how you can also get the suggestions & ideas from the common people for your work. You can also add the categories of the blogs on the right column sidebar of your blog page. This is how you can simplify the categories of blog posts for the common folks & activists. Its slider is also an interesting feature of this theme. On it, you can add the description of an event which was conducted by your organization. Bizway is a simple & easy to use free multipurpose WordPress theme. One can easily use & customize it to for the WordPress site for charitable work. It is so much easy to use that you can build a nonprofit WordPress site in a couple of minutes. As it is free, every charitable organization which is not very well funded can increase the visibility of their agency online. This theme is free of cost. Yet, it helps in making a creative WordPress site. On the blog page, you can add multiple search icons to make it more easy for visitors to search for any desired information. You can also add the archives of your posts in months & years on the blog post page. This will help you as well as the visitors to your site to find any information of a particular month & year. Also, you can translate its content to any language you want to. This is how you can spread your ideas & testimonials to any corner of the world. Harrington by InkThemes is another free multipurpose WordPress theme which everyone should try once. One can add the banner image of a good quality & paste an information box on it. Through that box, you can specify your agenda to the common folks & activists which will ultimately help you in making your non-profit organization more popular. 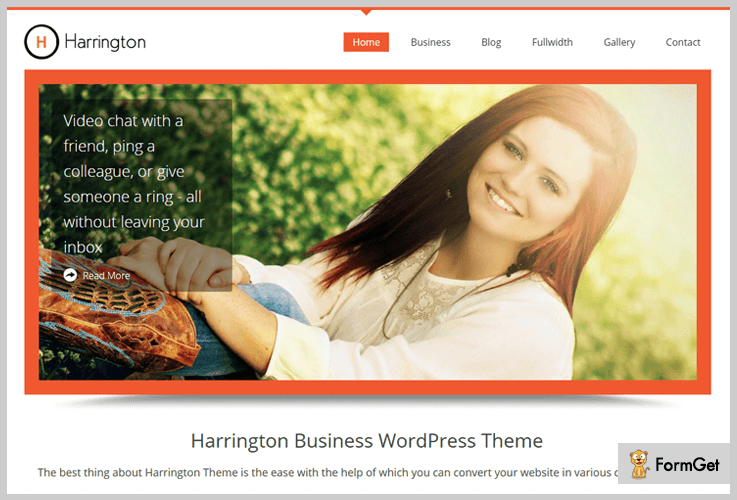 Harrington is a free nonprofit WordPress theme with lots of customizable features. You can add multiple blog post links on the homepage with a proper category, posted date, number of comments & theme admin who posted that particular blog. It supports six widgetized areas. Four of them on the footer & rest the two on the sidebar. On them, you can add any element you want to. On its footer area, you can add your contact number with a proper format. So above are some of the best nonprofit WordPress themes. Some of them are used to build simple charity WordPress site, while others can be used to create a poverty eradication WordPress site. You can also get them suggestions from the world through its comment section & forms. Furthermore, you can also receive any funds & donations online with so much easiness. So just try these free & paid nonprofit WordPress themes to make your godly work successful. If you have any queries & suggestions, just comment below. We’d love to help you with your great work!